It is an age when Valdemar is yet unfounded, its organization of Heralds yet unformed, and magic is still a wild and uncontrolled force. Skandranon Rashkae is perhaps the finest specimen of his race, with gleaming ebony feathers, a majestic wingspan, keen magesight, and sharp intelligence. Courageous, bold, and crafty, Skan is everything a gryphon should be. He is the fulfillment of everything that the Mage of Silence, the human sorcerer called Urtho, intended to achieve when he created these magical beings to be his champions, the defenders of his realm. 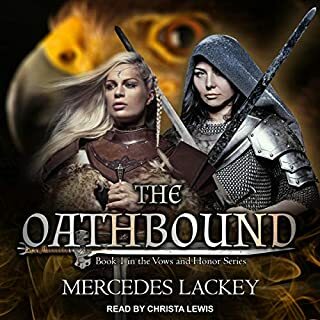 In this new series, set in the bestselling world of Valdemar, Heralds Mags and Amily must continue to protect the realm of Valdemar while raising their children and preparing them to follow in their footsteps. Mags, Herald Spy of Valdemar, and his wife, Amily, the King’s Own Herald, are happily married with three kids. The oldest, Peregrine, has the Gift of Animal Mindspeech—he can talk to animals and persuade them to act as he wishes. Perry's dream is to follow in his father's footsteps as a Herald Spy, but he has yet to be Chosen by a Companion. Great continuation of the series! 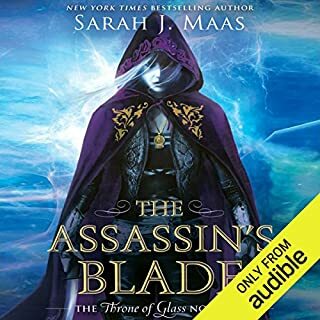 High Magic has been lost to Valdemar centuries ago when the last Herald-Mage gave his life to save the kingdom from destruction by dark sorceries. Yet now the realm is at risk again. And Elspeth, Herald and heir to the throne, must take up the challenge, abandoning her home to find a mentor who can awaken her untrained mage abilities. But others, too, are being caught up in a war against sorcerous evil. Barely a teenager, Kaylin Neya is a thief, a fugitive, and an attempted assassin. She also has a smart mouth, sharp wits, and mysterious markings on her skin. All of which make her perfect bait for a child prostitution sting in the city of Elantra - if she survives her first meeting with the Hawks! She does not have a thousand lifetimes. She has just one - and time is running out. For the prophecy spoke not just of her, but of a great Darkness that would destroy the elven kingdoms. A Darkness that is coming ever closer. She is Vieliessar Farcarinon and she must save her people. Even if she must shatter custom and destroy the world she was born to rule. I was sorry I bought this one at first, but not now. Kellen Tavadon, son of the Arch-Mage Lycaelon, thought he knew the way the world worked. His father, leading the wise and benevolent Council of Mages, protected and guided the citizens of the Golden City of the Bells. Young Mages in training---all men, for women were unfit to practice magic---memorized the intricate details of High Magic and aspired to seats on the council. It has been over a year since the UnArcana Worlds of the Protectorate of the Mage-King of Mars seceded, shattering the unity of the human race. The new Republic of Faith and Reason has raised new banners in defiance of the power of the Protectorate's Mage aristocracy. Now, Hand Damien Montgomery commands a relief mission to a Republic world ravaged by famine. His humanitarian mission collides with a newborn military beginning to flex its muscles - and a newborn nation prepared to accept no violations of its sovereignty, regardless of their needs. Rhapsody is a woman, a singer of some talent who is swept up into events of world-shattering import. 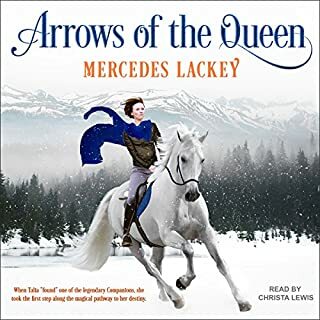 On the run from an old romantic interest who won't take no for an answer, Rhapsody literally bumps into a couple of shady characters: half breeds who come to her rescue in the nick of time. 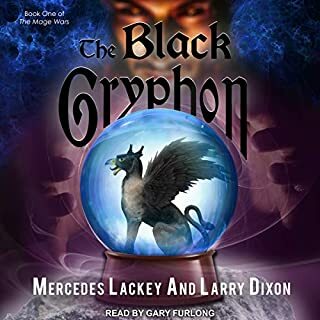 Only the rescue turns into an abduction, and Rhapsody soon finds herself dragged along on an epic voyage--one that spans centuries and ranges across a wonder-filled fantasy world. A thousand years ago, the armies of the Arcosian Empire, led by Mornhavon the Black, crossed the great sea and tried to conquer the land of Sacoridia - and during Karigan G’ladheon’s early years as a Green Rider, Mornhavon’s spirit, sensing weakness in his prison walls and seeking vengeance, began to wake. With the ghostly help of the First Rider, Karigan had managed to drive off the spirit of Mornhavon - but for how long, no one could know. And now, the descendants of those Arcosians are ready to strike, reaching out to claim the land their forebears had tried to conquer. Worse, these vengeful enemies had spent generations honing their powers of dark magic - a force against which the Sacoridians had no defense…. 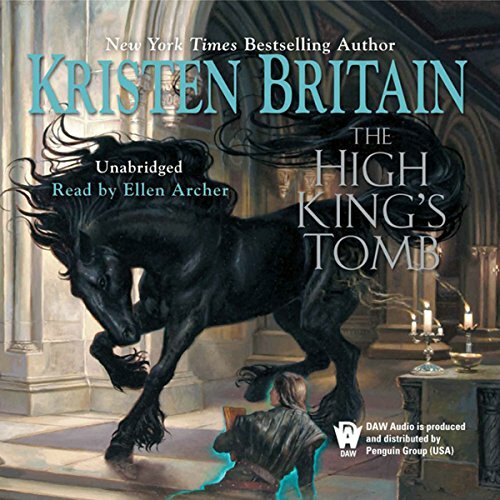 Would you consider the audio edition of The High King's Tomb to be better than the print version? I haven't read the written version. What was one of the most memorable moments of The High King's Tomb? The scene in the tombs where Keri. is dressed in black. What about Ellen Archer?? ?s performance did you like? She is WONDERFUL! She doesn't read the words she puts so much feeling into the words. 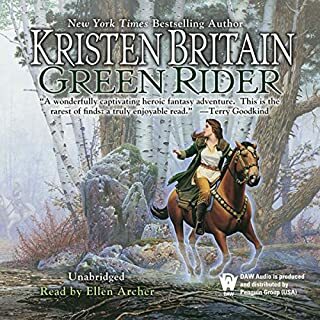 Ellen is easily in my top five narrators and I have listened to over 150 audiobooks. Some say this book wasn't as enjoyable as the first two books. I have to say book three is just as interesting as the first two. We simply didn't have a BIG battle to deal with, just little skirmishes to move the characters around. I think I would be disappointed if every book had the same plot formula to it. This book took a small step back to allow the reader to take a breath, but it doesn't mean that this book was boring by any means. As the story goes on the life around K gets larger and the author spends a little time in different places with different characters to keep it all going. Otherwise we would spend time with the main character and wonder what was happening at the wall or K would show up at the wall and we wouldn't have a clue as to the struggles that occurred there. I enjoyed this story just as much as the other ones and couldn't put it down. Not as good as the first two. I sure hope that the next two improve. There was to much of the nonessential in this book that was distracting. Although I really like the most of the Green Riders and the premiss that they are based on. Personally, felt like the future Queen unworthy and whinny. Sure hope that the love triangle between the Green Rider, King and Queen is resolved in a manner that doesn't let the cast system dictate it's outcome. I find myself really liking the King. Can't really see where the 2nd Empire plot is going. I am sure it has to do with the fall of the wall. Alton's plight is discouraging because he showed such promise. Will see what happens. Have to admit I am hooked on the Green Riders and their interesting characteristics. Hope this review helps without too many spoilers. Have you listened to any of Ellen Archer’s other performances before? How does this one compare? I love this series! And I thought I had screwed up somewhere, but the last few minutes or so from the last chapter are missing! It just stopped mid sentence. 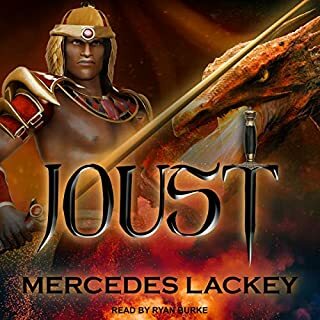 Fantastic story with a robot narrator. The story is fantastic. The narrator sounds like a robot. The book is so good though, that's it's still worth it. This was an amazing book and wonderful narrative preformance. The narrator gave each character life. this series improves with each book. I'm also very happy with the narrator, who brings all the characters to life. I am becoming familiar with the writing style and there are a few holes here. However, the story flows and it is enjoyable. There are several plot repeats, it is becoming a little old.